"One of the finest heritage properties in the country, Talai Bagh Palace puts on a charming display of the grandeur and opulence of the bygone Marwar royals. Some consider it as an exact replica of the creation of Bikaner royal dynasty; the magnificent Shikarbadi (hunting lodge of Maharaja Ganga Singh Ji). Given such a unique stature, the property never fails to live to the expectations of its ancestors. 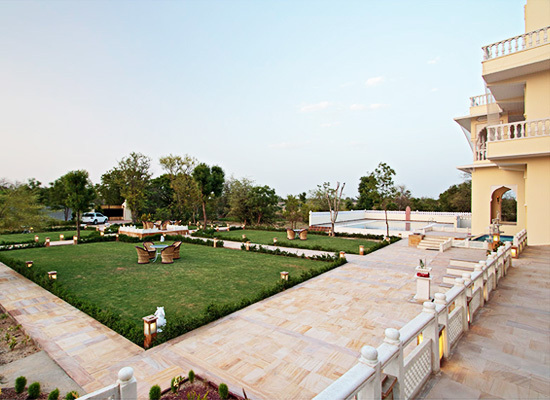 The imposing Talai Bagh Palace has its premises all filled up with bounties of nature. On the insides, the structure flaunts royal elegance in its best attire. Miniature paintings and hand-painted frescoes adorn the interiors throughout their lengths. 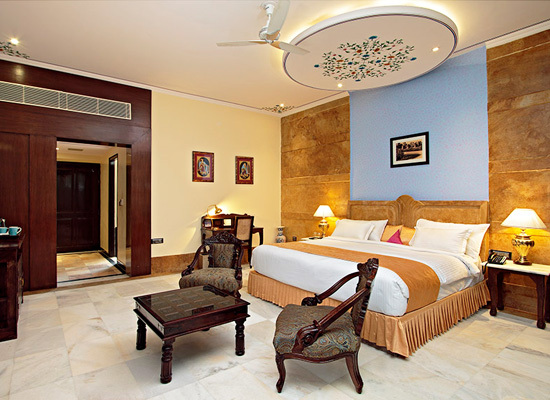 Talai Bagh Palace has its address only a few kilometers away from the majestic Amer Fort. 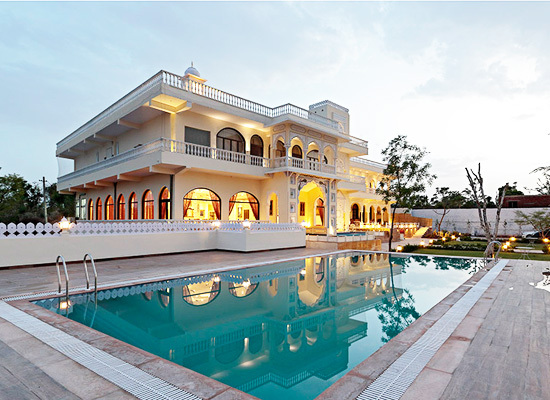 Talai Bagh Palace belongs to the royal family of the Marwar region. Its legacy was started by Rao Bika Ji (founder of Bikaner), who passed it to Maharaja Ganga Singh Ji. In today’s time, the rightful owner of this boutique palace hotel is Maharaja Ganga Singh Ji’s grandson, Thakur Jaideep Singh Bika. 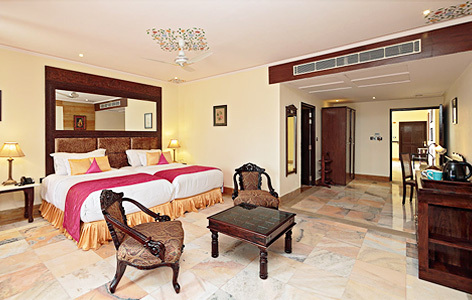 It is also one of the most popular heritage hotels in Jaipur. 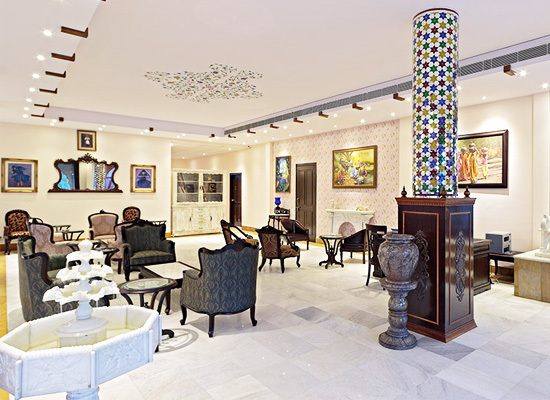 In a bid to maintain the royal legacy, the accommodations of the Talai Bagh Palace have sophisticatedly blended modern luxury with traditional lavishness. Decors of linen, wood and stone on the wall and roof brilliantly reflect the finessed designing of the interiors. Attached luxurious bathrooms, Jacuzzis, massive sized dressing tables and wardrobes give the suites a King-size appeal. To make the stay more luxurious, suites of the Talai Bagh Palace hotel are studded with a private courtyard that overlooks the beautiful Aravali Mountains. For the guests to savor the best tastes of the royals, master chefs of the hotel cook handpicked recipes of the Maharajas. 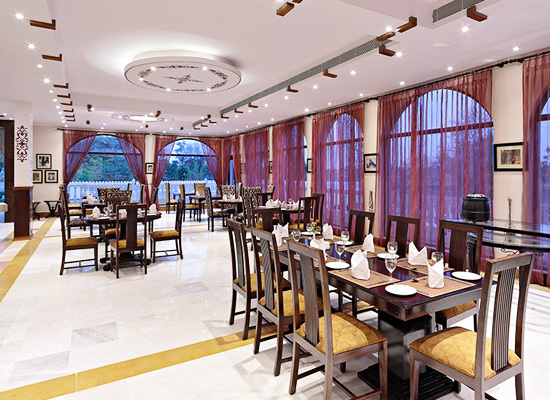 Owing to which, guests are served a delectable mix of Continental, Indian and royal dishes in authentic royal crockery. Accompanying the dishes are the exotic varieties of Indian and international wines. Besides eating indoors in the luxuriant dining hall, guests have the option to dine at the terrace or in the perfect natural setting of the courtyard. The largest and the capital city of Rajasthan, Jaipur is a gateway to the ancient world of the country’s proud royals. Jaipur is dotted with numerous majestic palaces and forts that are reminiscent its true past heritage. Due to the painting of the buildings and structures originally in pink, Jaipur is also famed as the ‘Pink City’.